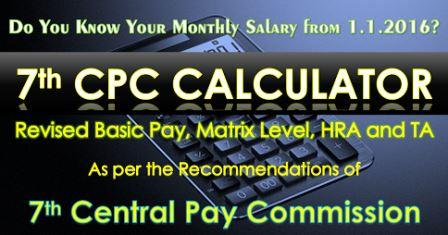 How to Calculate Minimum Pay for CG Employees? How to Determine or Estimate Minimum Pay for Central Government Employees? The estimation of minimum pay in government is the first step towards building its pay structure. In doing so, the approach is to ascertain, by using the most logical and acceptable methodology, what the lowest ranked staff in government needs to be paid to enable him to meet the minimum expenditure needs for himself and his family in a dignified manner. 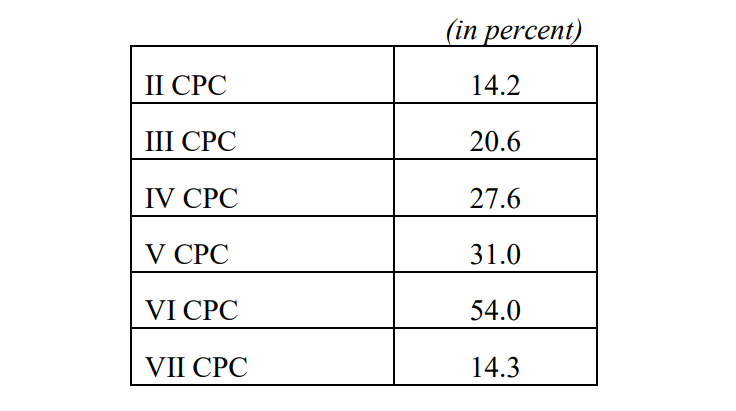 The V CPC adopted the ‘Constant Relative Income Approach’ to estimate the minimum pay. The V CPC proceeded from the minimum pay of Rs.750 estimated by the IV CPC as on 01.01.19866 and added to it the DA of ₹1,110 to arrive at the ‘price protected’ minimum pay of ₹1,860 as on 01.01.1996. The VI CPC used the norms set by the 15th Indian Labor Conference (ILC) in 1957 to determine the need-based minimum wage. 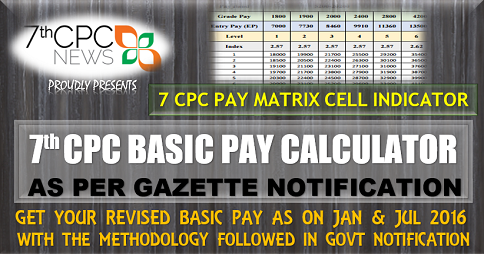 The minimum pay was fixed at Rs.7,000 per month on 01.01.2006. Step 2: The quantities have been multiplied by their respective product prices to arrive at product wise cost. The price adopted for each product is the average of prices of various items that are included in the product. The price of an item is the average of its prices prevailing in each month from July, 2014-June, 2015. [At monthly family consumption of 7.2 kg the Commission has estimated the monthly expenditure on Dal at ₹704.44 after calculating the price of Dal at ₹97.84 per kg. The price of Dal has been calculated as the average of prices of Toor, Urad and Moong Dal items specified under the product Dal and whose prices have been determined at ₹87.86, ₹109.66 and ₹96.00 respectively. The prices of these three Dal items are the twelve monthly average prices for the period July, 2014–June, 2015.] The prices of all items have been sourced from Labor Bureau, Shimla. 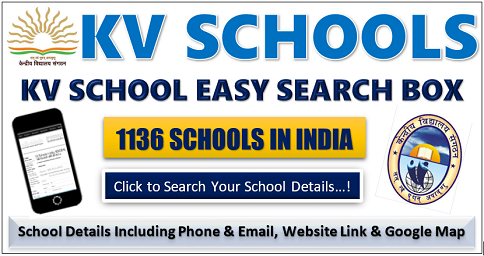 These prices are used in the calculation of the CPI (IW) and subsequently the calculation of Dearness Allowance. In the current exercise the prices of all items are for the period July 2014-June 2015 and have been used in the calculation of DA at 119 percent operative from 01.07.2015. Step 7: The cost estimated from Step 6 is as on 1 July, 2015 when the DA was 119 percent. The DA is assumed to be 125 percent as on 1 January, 2016, the day from which the Commission expects its recommendations to be implemented by the government. Accordingly the cost estimated from Step 6 has been increased by 3 percent (2.25/2.19 = 1.027 or nearly 3%). The cost estimated from Step 7 is next rounded off to ₹18,000, which is the minimum pay being recommended by the Commission, operative from 01.01.2016. 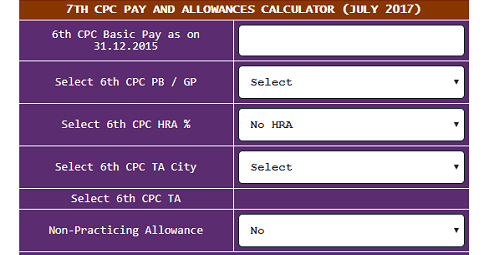 How to calculate Minimum Pay in 7th CPC? What is the Minimum and Maximum Pay for CG Employees?